In a hearing convened suo motu, the Supreme Court on Tuesday came down heavily on the State Coordinator for NRC, Mr. Prateek Hajela, and the Registrar General of India, Mr. Shailesh, for statements made to the press concerning the adjudication of the claims and objections as to inclusions/exclusions in the draft NRC. “Who are you to tell people that this is the way to object and that these are the documents that will be allowed? I was appalled on reading this”, added Justice Rohinton Nariman. 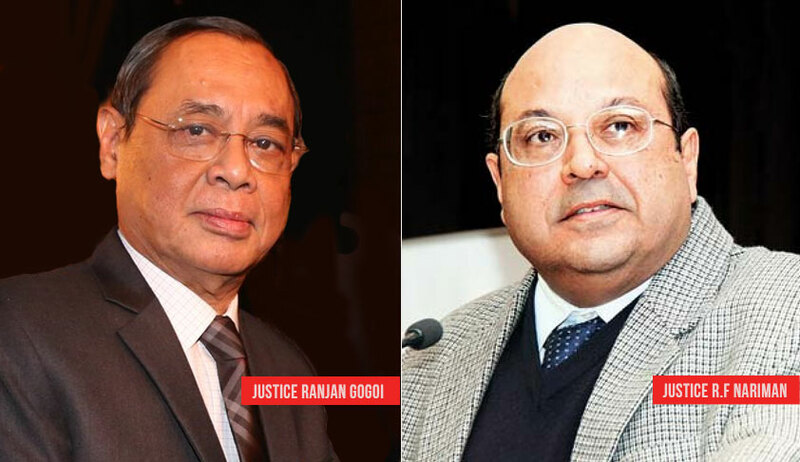 Indicating the order dated July 31 where the bench had noted that the NRC prepared for the state of Assam was only a draft, and hence the same cannot be the basis for any action by any authority, Justice Gogoi noted that, in view of the order, there was no scope or authority in the officers to make such statements. Apologising, Mr. Hajela submitted that on discussion with the Registrar General of India, they had sought to address any apprehensions that the public may have. “You are a court-appointed officer. Your job is to prepare an error-free NRC...your job is not to go to the press holding the brief for anybody”, commented Justice Gogoi. “This is most unfortunate. Do not do this in the future”, cautioned Justice Nariman. Regarding the conduct of the officials as “highly improper”, the bench observed that the statements so made “touched upon matters which should have formed the basis of orders to be passed by the court”. However, the bench refrained from taking a sterner view of the matter, reflecting that the present was the stage for the publication of the final NRC, and accordingly, let off the officials with a warning to be cautious in the future and devote their time and efforts only in pursuance of court orders. The bench also observed that prior to making any statements in this behalf in the future, the directions of the court be sought. At the previous hearing, The Court had heard Mr. Hajela who had submitted that the total number of persons included in the Complete Draft NRC is 2,89,83,677, leaving out as many as 40,70,707 for being ineligible for inclusion. Out of the aforesaid 40,70,707 names, 37,59,630 names have been rejected and 2,48,077 names were kept on hold. It was further advanced that the final draft was available for inspection up to August 7, and and that the excluded persons can make claims and objections from August 30 to September 28. Attorney General K. K. Venugopal had submitted that the concerned Ministry was in the process of finalising the modalities for dealing with the claims and objections, and had undertaken to place the same before the Court.